In early 2012, I led a team within Float which created their own internal development platform for Augmented Reality, nicknamed SINGULARITY, which works with a variety of sensors, cameras and hardware types. It tracks using both DTAM and PTAM methods, and when using depth sensors, can survey the features in the room to track virtual objects onto a live camera feed. Because it can sense depth with these devices , the software can use real time camera shaders to emulate lens Depth of Field Effects! The platform can seamlessly port to Unity, asa well as a variety of other potential visualization and game platforms. 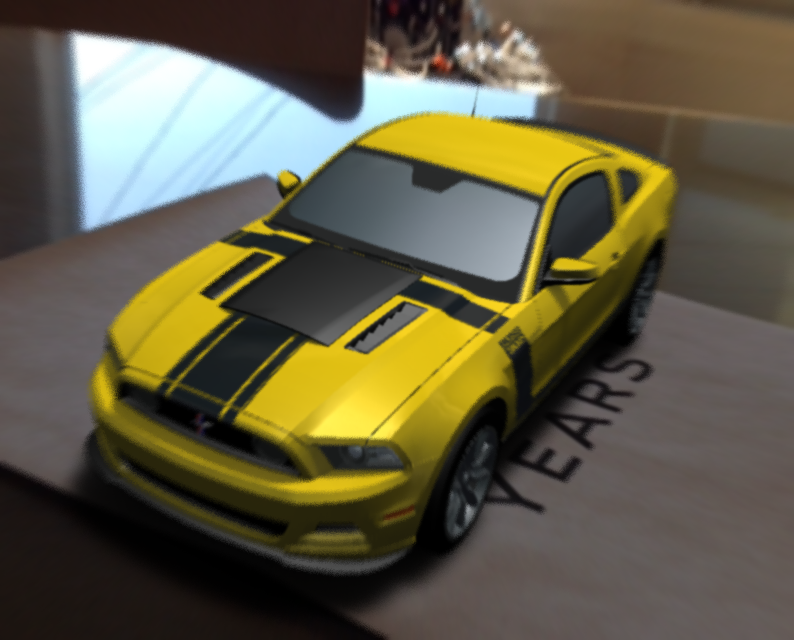 We've used features of the same platform to create markerless Augmented Reality for mobile devices as well, which tracks virtual objects without using markers into a real time video feed. In the example below, we've integrated a complex virtual tank model into a live environment. This example evolved into a playable version, which included head to head opponent tanks, which were controlled by each user's iphone, and viewed on a large screen TV in real time. At Peterobot, we are well versed in developing around AR. In addition to our own explorations, we are familiar with development pipelines for AR software platforms from Qualcomm, Metaio, Total Immersion and others, and can create both mobile and installation based AR experiences. DESKTOP MARKERLESS DTAM AUGMENTED REALITY TANK GAME PROTOTYPE. VIRTUAL TANK CONTROLLED BY IPHONE. TEST: SINGULARITY AR WEBCAM/MOBILE PTAM MARKERLESS AUGMENTED REALITY ZOMBIE BOARDGAME PROTOTYPE. DESKTOP MARKERLESS DTAM AUGMENTED REALITY DEPTH OF FIELD TEST. VIRTUAL TANK CONTROLLED BY IPHONE..
TEST: SINGULARITY PTAM MARKERLESS AUGMENTED REALITY TRACKING TEST ON MOBILE PLATFORM- RGB MOBILE CAM. PETEROBOT: AR projects and demos.